Many 20th-century arrivals from Germany brought with them the high culture of Europe. 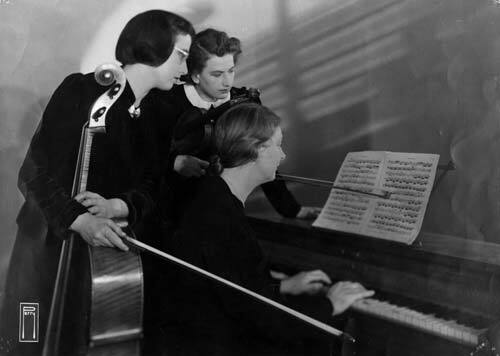 Marie Vandewart Blaschke (left, holding cello) was one such immigrant. She is shown here in the Dorothy Davies trio, which performed in Wellington in the 1940s.